They provide an analytical framework for studying HRM for example, situational factors, stakeholders, strategic choice levels, competence etc. They validate certain HRM practices and provide distinctiveness to HRM practices. They provide a characterization of HRM that establishes variables and relationship to be researched. They help to discover and understand the world for explaining the nature and significance of key HR practices. This is the model of HRM. It emphasizes four functions of management and their interrelatedness­ Selection, Appraisal, Development and Rewards. This model is incomplete as it focuses on only four functions of HRM and ignore all other environmental and contingency factors. 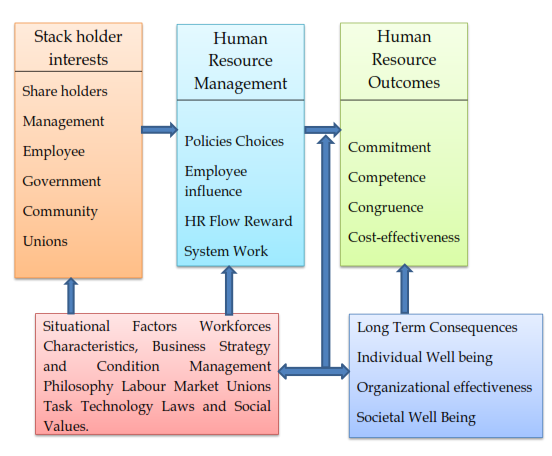 But, this model is simple and can serve as a heuristic framework for explaining the nature and significance of HR activities. 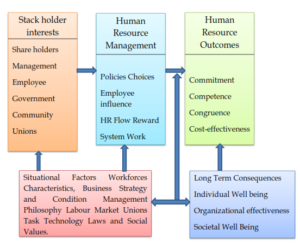 This model consists six critical components of HRM namely stake holders interests, situational factors, HRM policy choices, HR out comes, long term consequences and a feedback loop through. This model was developed by David Guest in 1997. 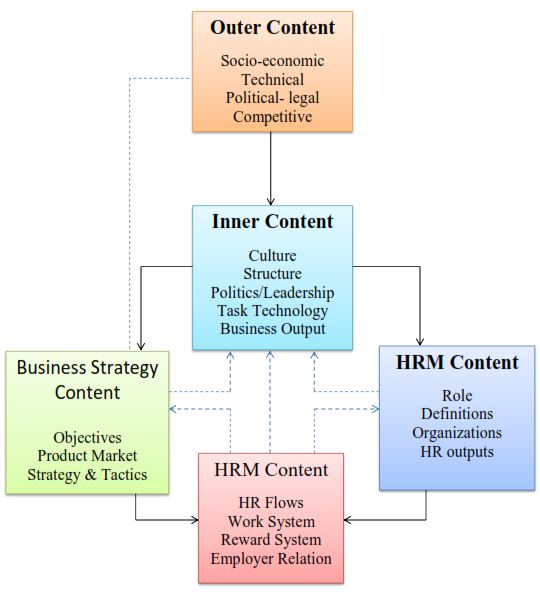 This model emphasizes on the assumption that HR manager has specific strategies to begin with, which demand certain practices and when executed will result in outcomes. These out comes include behavioural performance related and financial rewards. The model emphasizes the logical sequence of six components : HR strategy, HR practices, HR outcomes, Behavioural outcomes, Performance results and financial consequences. The strength of this model is that it identifies and classifies important environment influences on HRM. 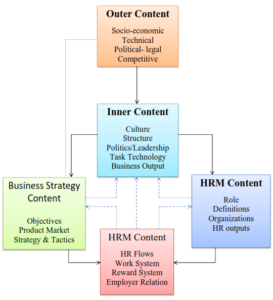 This model takes cognizance of business strategy and HR practices, the external and internal content, in which these activities take place and process by which such changes take place including transactions between changes in both external content and internal content. very useful. need a help regarding what books or notes should be referred to clear ugc net in hrm . It is very short summary for good explanation. Thank you very much. God Bless you and your family from Ethiopia.